Situated in the heart of Piccadilly Circus, Ripley’s London is perfectly located for visitors who want to escape the hustle and bustle of the West End and tumble down the rabbit hole in to a world of fantasy. Inspired by Alice’s adventures, the gallery features a mad hatter table, a giant perfume bottle as well as an incredible Ames room which gives the illusion you are either a giant or very small, just like Alice is in the film. After navigating your way around the gallery, you can continue your journey throughout the attraction with more Alice in Wonderland themed delights including an upside down room, the miniatures gallery and Marvellous MirrorMaze. 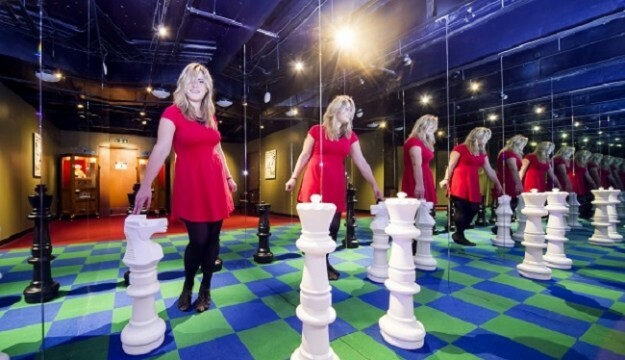 The Alice in Wonderland gallery at Ripley’s London is open throughout the month of August. Ripley’s Believe It or Not! London is open seven days a week, 365 days a year from 10am until midnight (last admission 10.30pm).